Born on March 17, 1925, Guru Pankaj Charan Das was the adopted son of a Mahari (temple dancer) and learnt the art of devotional movement from his mother and his aunt, Ratna Prabha Devi. He was also entranced by the jatras (the itinerant roving theatre) of Orissa and never missed any that came to town	(Puri). The highlights of the guru's childhood life consisted of the times he was allowed to act in school plays and the praises he received for his voice. His singing got him the honor of Bada Chatta, a service attached to the temple. He recalls with glee how he was told, "You sang better than a gramophone [record player]." Young Mahari dancers were often told to �sing and dance like Pankaj� by their Mahari mentors. Failing his high school exam three times, he gave up on education. But the theatre of the road, the people's theatre, thrilled him, and he was finally offered the role of Nemesis. He wore a saffron costume with a saffron cloth tied around his head and crossed the stage singing." The life of the young boy, however, soon took a jolt. The death of his adopted mother caused him to go hunting for a job to survive. And he did what he knew best. He sang and danced at the newly formed theatre of Bala Bhadra Hajuri. After the death of his mother, he joined one of the jatras and acted in comic roles. Then came Kalibabu's theatre to Puri. And the urge to join the big-time theatre gained ground. After two ventures from Cuttack to Balasore, including the one with the New Theatres, Pankaj Charan Das returned to Puri. He met Kelu Charan Mahapatra. Finally, they both joined the Annapurna Theatre B, after the split-up of the theatre. Pankaj Charan Das choreographed Vasmasura as the dance director with Kelucharan as Siva and Laxmipriya, who was later to become Kelucharan's wife, as Mohini. The dance was a hit; and the two dancers caused a stir in the minds of the theatre-going public. As Guru Pankaj Charan Das admits, the Mahari dance had no stylized hand gestures and postures. It was the outpouring of a soul to her husband, who also happened to be god himself. There was devotion, and there was love. The language of the soul and the language of the entire body inasmuch as it conveyed the non-verbal language of the soul were significant. 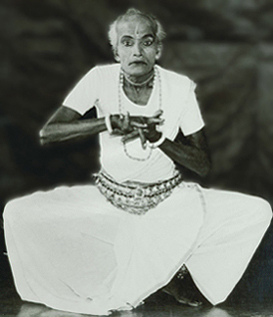 The Mahari dance, as imbibed by Pankaj Charan Das, had to be modified to suit the theatre so that human beings could understand the language of the soul. His unique contribution to Orissi dance consists of the blending of spirituality and theatre. He especially excels in his characterization and dance portrayal of women, whether it be the Mother Goddess herself or famous women from the epics of India. He is also brilliant in stage choreography, well known for dances such as Matribandana and Glani Samhar. His masterpiece creation, however, is Panchakanya, "Five Women," the portrayal of Ahalya, Kunti, Draupadi, Tara, and Mandodari, from the Ramayana and the Mahabharata in solo dance dramas.